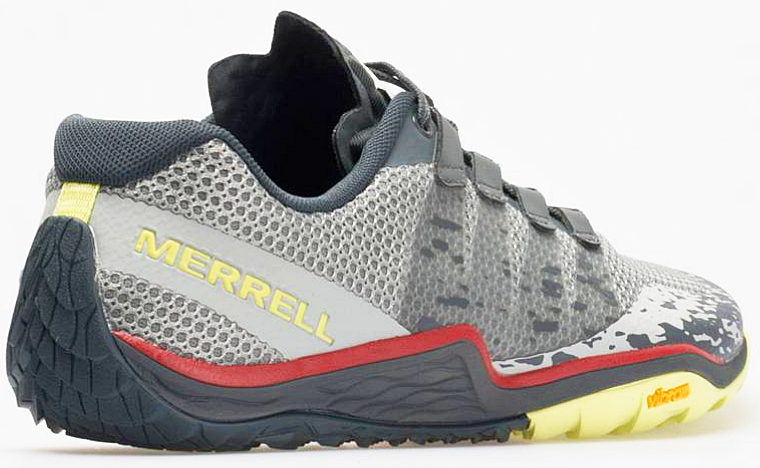 The Merrell Trail Glove 5 minimalist running shoe provides only what you need to confidently go fast, with strong and steady footsteps, on rugged technical trails. However, I must underscore that the Trail Glove 5 is a better choice for minimalist runners who enjoy moderate, not a lot (like the Altra Escalante’s) but just enough underfoot protection to provide a good soothing and smoothing of rocky, harsh, beat-up paths. With that mentioned, if you want more ground-feel for the trails, you may be more interested in the Merrell Vapor Gloves here! 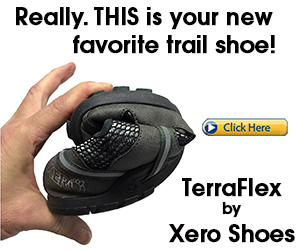 Merrell has built an improved version of the previous Trail Glove. This update is lighter, more flexible and despite how thin the shoe is, it has a noticeable amount of protection and durability that reliably stands up under heavy trail mileage. More important, the Trail Glove 5 doesn’t give an obstructive fit, making it an excellent foot-strengthening tool and supplies enough ground-feel to help you form a consistently stable connection with the trail at any pace. 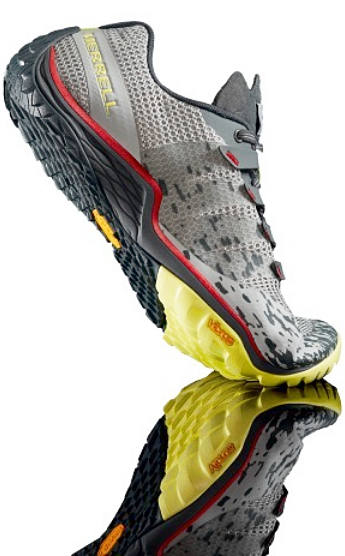 Essentially, the combination of freedom of movement for the feet and good ground-feel helps give you a better handle on your forefoot strike that’s easier to maintain when zipping on any off-road terrain. Many functional highlights of the Trail Glove 5 include an anatomically-correct design that perfectly matches the silhouette of the human foot and doesn’t interfere with toe-splay. Out of that comes increases in foot strength as well as renewing and improving your foots role in tightening balance control when trail running. Even with all its toothy-tread, the Trail Glove 5 still provides a natural contact with the ground, helping you stay constantly dialed into your forefoot strike during running. 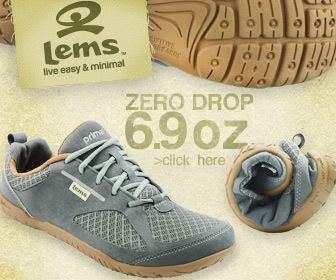 At the same time, the shoe delivers additional dependable protection in the form of puncture-resistance. Overall, the Trail Glove 5 is an excellent choice for trail runners who want more traction and underfoot-defense without the added weight. The Merrell Trail Glove 5’s stretchy mesh upper creates an excellent seal that’s expansive and perfectly wide throughout, especially at the front, allowing the foot to spread and engage, especially at the metatarsals and toes, putting you on safer ground. But the Trail Glove 5 scores more points than the previous models because of the lighter-weight, enhanced flexibility of the upper, credit to the probiotic mesh fabric. Bottom line, flexibility should be a basic requirement of a good minimalist shoe. Despite the Trail Glove 5’s added durability and protective support, flexibility is not compromised, in fact, its next level. 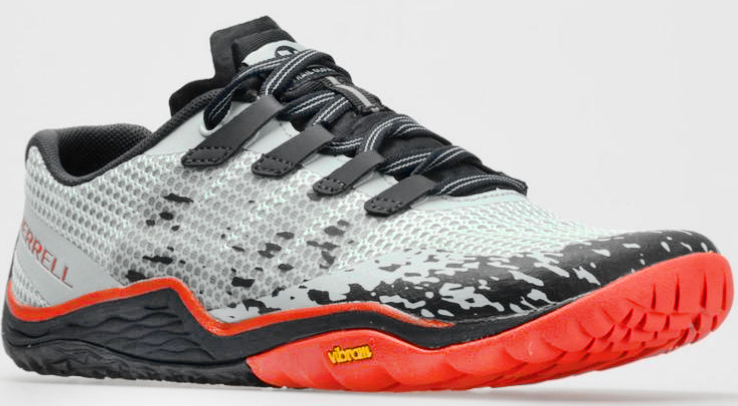 The upper is a lightweight, breathable, mostly-mesh covering that provides a foot-hugging, anatomical fit, meanwhile the sidewalls offers good protection from rocks and other obstacles lurking on the trail. The entire upper twists and flexes freely and adapts with the natural movements of the foot, especially when making quick changes in direction and sharp decent when trail running. The mesh upper also delivers enhanced breathability throughout. Not to mention, the traditional lacing system faithfully secures the upper around the foot, providing a resassuringly snug fit without any pressure points. The Trail Glove 5 is propped up on a zero-drop (completely level) 3-mm thin, toothy rubber Vibram outsole that has multi-directional flex cuts and indented grooves, providing further flexibility. Its long-lasting durabilty also makes the Trail Glove 5 an excellent choice for heavy mileage on more technical surfaces. Trail running just got easier thanks to the Trail Glove 5’s underfoot materials which are flexible enough to allow the foot to move in its natural motion, while providing excellent protection against the elements on harsh off-road surfaces. The underfoot is also armored with a TrailProtect™ rock plate which admirably protects the feet from stone bruising and contributes to a smooth, responsive ride when racing in the mountains. Despite appearing more beefy in protection, the Trail Glove 5s outsole gives a fast, light and nimble feel that lets you feel the ground very well, helping keep your forefoot strike in line while running. Because of its robust durability, fluid flexibility, zero-drop profile and complete natural fit and feel, the Trail Glove 5 increases your own control of landing softer, more steadily during high mileage runs on a range of off-road terrain, such as twisty single-tracks, rugged mountains, crushed-gravel paths as well as hard-packed to dusty dirt, rooted trails. 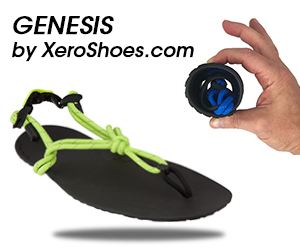 Even better, the lightless, feathery-feel of the shoe makes it preferred for faster trail running efforts, too! But the Merrell Trail Glove 5 is more than trail-specific! Its also suited for shuffling in narrow creeks, power hiking, variable gym workouts and of course, is more than comfortable for casual, everyday wear. Ultimately, in the trail minimalist running world, the Merrell Trail Glove 5 is a multi-terrain, multi-award deserving minimalist running shoe that gets you well prepared to go as far and fast as you can and dominate any serious trail! If you’re interested in learning more and getting your paws on a pair of the Merrell Trail Glove 5’s, you can do so here! If you’ve enjoyed this review, you’ll love my other reviews here on the barefoot-inspired running shoes necessary for form correction and foot strengthening.